Wynona was born February, 12, 1931 to Elwin D. Booth and Maria Wells in Montpelier, Idaho. She is the third of 4 children, She has two older brothers, Leon and Voris, and a younger brother, Don. Wynona is survived by her three children, Ivan Brent Kunz, (Erin), Cynthia Lynn Hunter,(Rick) Jody Ray Kunz, (Juanita) and (DeeAnn Gunn) and her beloved grandchildren and great grand children. 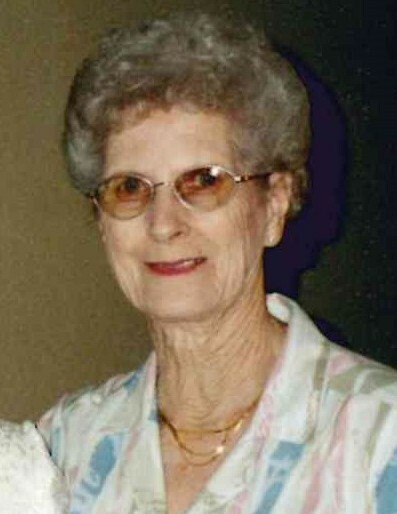 Wynona was preceded in death by her parents, Elwin and Maria Booth, her brothers, Leon, Voris and Don Booth, Her oldest son, Danny Gunn, and a daughter, Cyndia Lee Kunz. Wynona was born and raised in Montpelier, where she attended schools and graduated from Montpelier High in 1949, Wynona worked at Modern drug during her high school years, She started working at Barrett Floral in 1972 and worked there until she opened her own flower shop, Rays Flowers, in 1984. In 1989 she started to work at Ranch Hand truck stop and worked there for 20 years, She quickly gained a reputation for her baking and cooking abilities at the Ranch Hand. Wynona had a love for cooking, baking, arranging flowers, horses, and collecting porcelain dolls, and feeding the squirrels in the back yard. She also loved her Sunday drives with Ivan as the drove around Bear Lake Valley. They used to call it "going deer hunting"
From Cynthia; I know everything I know about cooking because of you mom! From Jody: Thanks for caring about your family and being a great mom and grandma to each of us! The family would like to thank Bear Lake Memorial Hospital and Lily And Syringa in Idaho Falls for the care given to Wynona. Funeral arrangements is under the direction of Schwab-Matthews Mortuary in Montpelier, Idaho.